Being cooped up in the house with preschool-aged kids is no fun, especially if they’re bored! If your kids are not going to be in daycare in Vancouver on a weekend or holiday, we’ve got some ideas for outings! 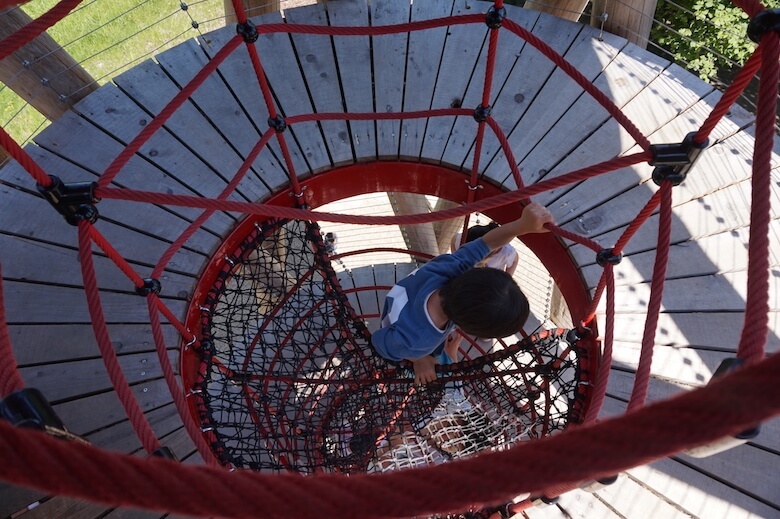 This relatively new playground in Richmond comes with lots of climbing material for kids, including one huge tower that would be an adventure even for grown ups to get through! It also separates areas for age groups, which is helpful if you’re worried about big kids getting in the way of your little kids, or some equipment being too dangerous for preschoolers. There is also a beautiful nature area to walk through, and picnic tables for a nice sunny day out. Nearby, you and the kiddos can watch the planes landing and taking off at the Vancouver International Airport, or go on a bike ride at the scenic dyke in the vicinity. The design of this park was no small feat. It cost $1 million to make, and was consulted on by kids! There are multiple locations you can do this activity in Metro Vancouver, Fraser Valley or other nearby places. This one might worry parents who don’t want their little preschoolers knocking into teens doing backflips. But that said – what little kid doesn’t love unlimited jumping up and down?! This company is opening up trampoline parks in Metro Vancouver and Canadian cities. Check them out for more info (not a sponsor). 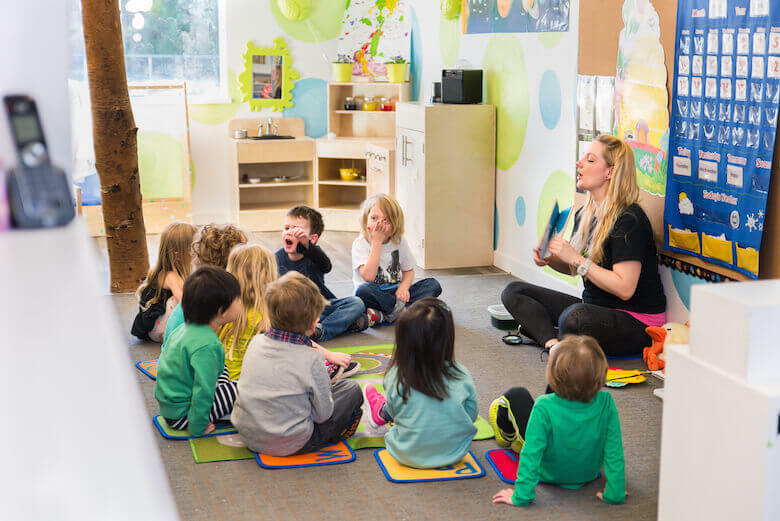 Did you know Michael’s offers $2 classes for little ones aged 3 and up? You can shop around for 30 minutes while they have fun making a craft. So cute, right? And, don’t forget at places like the Britannia Mine Museum, you can do more than just get a taste for trains. You can also pan for gold, for instance! Go planespotting with preschoolers too! If trains aren’t your child’s ‘thing,’ but planes are, it’s ok. Metro Vancouver and the Fraser Valley have that covered too. Sometimes, when you’re an adult parenting a kid, it can be fun to learn about all the cool things you forgot your teacher told you in school. Going to places that both educate you on nature, and let you interact with it can be doubly rewarding. And the kids can get a ‘real life’ sense of the animals and scenery in the story books they read! The Honeybee Centre – get an up close look at bugs, and then learn about honey! If you go during their summer festival, you may get to see a bee beard too! The Richmond Nature Park – walk through a forested area to see animals (like owls!) and plants in their habitat, and then visit an educational area. Burns Bog in the Delta Nature Reserve – also a bog, like the Richmond Nature Park, this area is great for strolls, walking above swamps, feeling like thumbelina and good old-fashioned bird-watching. Raptors Ridge – based in Maple Ridge, at this place you can see birds of prey like falcons, owls and hawks, and even learn how to hold them! Bird sanctuary and rehabilitation centre (O.W.L. Canada) – take a trip to Ladner (in Delta), to see birds in nature, and birds in healing. The Greenheart Canopy Walk at the UBC Botanical Garden – not for those afraid of heights! But your kids may like learning about trees, and wobbling on the hanging bridgeways. Of course, there is also the more popular (but probably more expensive) Vancouver Aquarium. The ‘olden days’ were a far cry from our Vancouver city life. But you can still learn about farming, even on modern farms! And, while not exactly a farm, Fort Langley National Historic Park can give some insight into what life was like for early Canadians. See this blog article for more on the experiences you’ll see there. Another fun place, which may only be suitable for the 5+ year-olds, is the Gulf of Georgia Cannery. You can show kids what it was like to work in dangerous factories full of stinky fish smells (which are now gone, thankfully!). Here is a blog post about it, which also gives tips for nearby excursions (like Steveston Village and Garry Point). The Vancouver Maritime Museum, in conjunction with a Scandinavian viking ship ride could be a fun day trip to learn about old modes of transport (such as if, planespotting and trainspotting listed above are not fun enough! ).